The Amiga Web Directory was a free service of the Champaign-Urbana Computer Users Group. The site was actively operated from May 16, 1994 to January 1, 2000. Thanks to all our members, friends and supporters throughout the years. Contact CUCUG by accessing our comment page. "The Amiga Web Directory", the Amiga Web Directory logo, "Agnes" and the Agnes character are service marks of the Champaign-Urbana Computer Users Group, Inc. CUCUG assumes no responsibility for the content associated with the links shown and does not necessarily endorse any of these information providers or their products. All of the textual descriptions associated with the links in our database as well as the collection of links are property of CUCUG. Copying or unauthorized mirroring of this material is prohibited. Please see our privacy statement for information about how we use the information we collect from this site. Please also refer to our list of other disclaimers. The Amiga Web Directory logo was created by Matias Larsson. 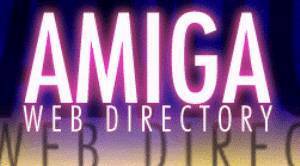 01 Jan 2000 - CUCUG Retires Amiga Web Directory - The Amiga Web Directory was retired on January 1, 2000. Thanks to all our members, friends and supporters throughout the years. Amiga 30th Anniversary Event - The Amiga was introduced in July of 1985. Join this group of Amiga supporters in their quest to honor the 30th anniversary with a celebration. Aminet - Thousands and thousands of Amiga files. The Amiga Zone - Home page for the Amiga Zone, an online resource, home, community, oasis, for Amiga owners moderated by industry legend Harv Laser. Amiga Report - Official archive of the venerable Amiga Report online magazine. Amiga World - Nice forum with news and views from the Amiga World. Amiga Search at The Register - This UK tabloid will print just about anything whether it has been confirmed or not, so be aware. Amiga.org.ru - Russian Amiga news. American Power Conversions - Makers of the Back-UPS line of back-up power supplies which allow you to keep using your Amiga system during a power outage and continuously condition the line voltage and remove spikes. Cloanto - Italian makers of AmigaForever. Digital Arts - Amiga, NewTek, DeskStation dealer located in Bloomington, Indiana. Randomize - Provides distribution of many Amiga-based products to the North American Amiga market. Products carried include Phase5, Villagetronic, DKB, Power Computing, Wizard, GP Software, NewTek and many others. Located in Central Ontario.